Sentiments like these hung thick as smoke in the Van Zandt household. Themes of despair and hopelessness were tools of the trade for my father. When Townes and his compadres achieved new benchmark levels of sadness in their reverie, they would begin a sort of masochistic celebration. I remember trying to do my homework while Blaze Foley and my dad endlessly argued at the top of their lungs about which Lightning Hopkins song was the best. The following morning, I’d have to step over hippy cowboys passed out on the floor on my way to catch the bus. Blaze’s worn cowboy boots would be sticking out of the back of my grandma’s Olds in the driveway. He had inevitably been thrown out of the house at some point during the previous night’s argument. Growing up the son of a poet left me a little spun-out at first. My dad was happiest when he had the least—give him a guitar and the clothes on his back and he was ready to roll anywhere, for any length of time. He was totally free and confident in his choices. To my knowledge, he never had a real job. He left college to be a songwriter, and that’s what he did. But he also had a tender side that seemed to be at one with nature. He was always truly kind to strangers and to animals, which I remember respecting a great deal. I lived with him a couple of times in Austin in the '80s. He was always reading books about the sea, ancient mariners, and wooden ships--things that would eventually become topics of my own fascination. When he wasn’t on the road, we’d hang out on Lake Travis in a little sailboat, fishing and drinking. I’d feel special, like I was with the coolest dude on the planet. I would usually drive us home. Austin was an oasis, but eventually my grades would suffer, and my Mom would reel me back to Houston. She always provided the needed counterbalance to my dad’s wild ways. 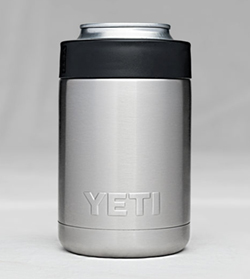 The YETI Colster®, part of our Rambler™ series, represents the next evolution in can-insulating, hand-protecting technology. I spent every summer from early childhood to the age of 16 on my grandparents’ farm in Hallettsville, Texas. My mom worked, and dad was always on the road, so I was fortunate enough to get dropped off in the country for three months a year. It was on those 300 acres that I developed my skills as an outdoorsman. Rifle and fishing pole in hand, I roamed every square inch of the land, building forts, setting traps, tanning hides, and filleting fish. My evolution from drop-lines to cane pole to conventional tackle and ultimately to fly rod and reel all happened during those golden days. I experimented with songwriting early on, but it never felt right. I was really just trying to be like my dad. On a trip to Nashville when I was 11, he took me to a pawn shop. He said that he’d buy me either a guitar or a BB gun. I chose the gun, and I could see the disappointment in his eyes. I was never drawn to the smoke-filled bars and endless partying that comes with life on the road. Being in nature, near water, felt best. It gave me confidence and strength. I learned my father’s songs as a way to stay close with him, to respect him. I play music on occasion, joining with others to honor my father and other fallen comrades. Getting to step on stages that even career musicians aspire to play is a privilege I take very seriously. After graduating from UT Austin in 1992 with a degree in psychology, I moved to southern Colorado and became a fly fishing guide in the San Juan Mountains. My dad rolled through one summer on the way to a folk festival. He was in rough shape. He had a hard time crawling out of the camper shell of “The Colonel,” his rust-covered GMC pickup. Finally gaining his balance, he looked around and said, “Wow, T! A fly fishing guide in the mountains! That’s so cool!” I felt validated. Carpentry became an occupation during the off-season and eventually a career. I moved back to Austin and started a woodworking business in 2002. My plan was to put up with the stress and make enough money to fish without having to guide. It lasted a while, until I realized I hadn’t been fishing in months, and that was it. I returned to guiding fishing trips in 2012 and have never looked back. I still work with wood, making a boat here and there, but only when it doesn’t interfere with fishing. Besides my family, fishing is the most important thing to me. Redfish fishing on the Texas coast near Rockport has become my focus, and you have to live with those fish to know them. It’s so exciting. It’s such a dynamic ecosystem, so complicated, and perhaps the most beautiful place in the world. I still love floating a river sometimes, but it’s simply that — a day on the river. Fishing in the flats is serious business. My love for fishing led to my life as a guide and drives me to conserve the ecosystem. When I first started fly fishing the coast you didn’t see the traffic you see now. No one would have dreamt of motoring through the shallows. It makes no sense. Now there’s a deplorable trend of running shallow-water boats as skinny as they’ll go, burning endless miles of shoreline, destroying habitat, harassing the fish, and ruining conditions for other anglers. The most extreme tactics involve using the boat to herd fish and filling coolers as effortlessly as possible. This behavior is most often a result of ignorance—monkey-see, monkey-do—yet I can’t imagine ever finding any joy in something like that. We need to cherish this resource and combine forces to ensure a quality experience for everyone. Pole, drift, paddle, or wade into sensitive shallow flats. Explore, and leave the environment how you found it. How can we justify any other approach? It is of the utmost importance to me to protect this ecosystem so that my children can experience the same magic I did as a young man. Pour the sun upon the ground. Stand to throw a shadow. Watch it grow into a night and fill a spinning sky. I’m in search of a feeling, a way of living that makes me happy, a way that has the least impact on others and the environment. A way that is consistent with what my father’s music taught me. My father and his music have had a huge effect on who I am as a man. It’s always in nature when his words, his lessons, ring out to me. He never really found success, yet he always believed in his writing, and gave 100 percent until the very end. I’m proud of him, and I know he’d be proud of me. 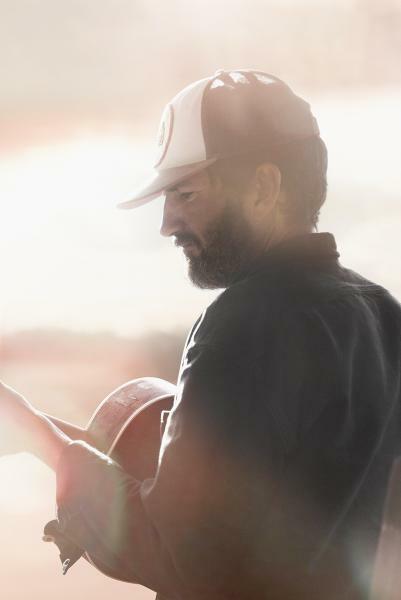 Townes Van Zandt’s son JT had to find his own passion in the wake of his father’s all-encompassing, often destructive, legacy. But out of his father’s mistakes, JT found his own calling in fly fishing. Time among the pine trees felt like breath of air, but usually I just walk these streets and tell myself to care. Sometimes I believe me. Sometimes I don’t hear. Sometimes the shape I’m in won't let me go.